During the entire month of April 2016, our theme is Web Traffic – and how to get more of it! I’ve interviewed 14 of the best marketing minds out there on their specific area of expertise – using different methods of web traffic. There is literally something here for everyone and throughout April we will be covering it all! If you are eager to skip the wait though, you can get your hands on all of the interviews, transcripts, a concise report and checklist – for a super low price (less than $10!). This is a collection of materials with one on one interviews with TWO NY Times Best Sellers, a guy who manages millions of email leads, an incredible fella who has over 500,000 people on his Instagram account and someone who is getting hundreds of automated leads a day, from a viral campaign he set up months ago. 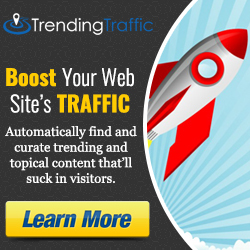 Click Here To Learn More About Web Traffic Wildfire! And if you have any questions, or want to delve deeper into any of the topics, we are always just a comment away! Leave your comments, feedback etc in the area below! Hope to have your follow!! I have been in the webmaster game for a decade or more and getting traffic to your site is NOT easy. When you need CONSISTENT traffic, you have to do a lot of work. Thanks for the tips! I am huge on cast studies. If you are going to try and sell the way something works, I want to see the results, right? Exactly. When you get the results you were hoping for after a line month of testing, I would be so happy. Do you have any case studies to show us? You have a really good landing page for your product. I wish I could make something as creative! Good job! Excellent collection of interviews about traffic to your website. Hey! I really like your website, it is very informative with lots of free resources available. I’m 100% completely in to your traffic course. So that I can safely skyrocket my business in the shortest time ever. Hey! I really like your website, it is very informative with lots of free resources available. I’m 100% completely in to your traffic course. Can you please tell me how I can buy this course? Is this course a newbie friendly? Because I have just bought a newly built website from my friend and I really wanna try this course. Hey Alyse, yeah – it’s newbie friendly. It’s not exactly a course, but a collection of interviews where we get to learn from people who are using these strategies in their businesses.